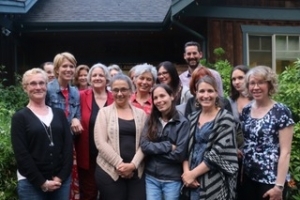 In 2013, Ann Silberman, ED Bowen Children’s Centre, achieved one of her life long goals—establishing a table where all the key organizations, educators and caregivers working with children birth through 12 on Bowen Island could work and plan together. Around the same time, out of a concern for the results for Bowen’s children in wave four of the Human Early Learning Partnership’s Early Development Instrument (EDI), Lynda Phillips, PHD, Early Childhood Instructor and Bowen grandmother of two, met with Ann and Jane Kellett, West Vancouver School Trustee to discuss what to do about the vulnerabilities of Bowen’s youngest. Perfect timing—the birth of the ECD table. Previous Previous post: Raise a Reader! Next Next post: Why Reggio Emilia Philosophy?